The following discussion comes from the 1868 second edition of Curiosities of Natural History in which the author, a surgeon and zoologist, describes situations in which megafauna bones were mistaken for those of giant humans. An Irish labourer once told him that he had discovered the skeleton of a giant in an Irish bog; he described it as placed on its back; the backbone, the legs and arms were, he stated, quite perfect, and also that, in his opinion, these bones must have been the remains of a person not less than 17 feet high. Mr. Bartlett, of course, rather laughed at the story, but, being a wise man, determined to go deeper into the matter, and cross-examined the Irish labourer very closely; the man was positive about the story, so positive indeed that it was quite evident he was telling no lies. Mr. Bartlett at last ascertained that this skeleton was that of an ancient Irish elk (Cervus megaceros): the head was missing, but the bones happening to be placed flat on the ground in the manner that a human skeleton would naturally assume, they resembled so much (to the uneducated eye) the bones of a gigantic specimen of the human subject, that the mistake is almost pardonable. This is a good lesson, always to inquire into stories, however improbable they may appear at first sight. The disposition of these bones must of course be dependent upon the movement of the ice blocks forming the glacier upon which the bones were placed: if Professor Forbes cannot explain it, it would be presumptuous in me to make the attempt. Though authentic accounts of giants in the flesh are not very common, we find instances innumerable on record of the bones and skeletons of giants having been found buried in the earth. Some labourers who were digging gravel in front of St. John’s College, Oxford, discovered and trundled off to my father at Christ Church a wheelbarrow full of “giants’ bones,” which he immediately decided to be the bones of fossil elephants. The men were ultimately persuaded into this belief, but they accounted for the presence of the elephant, by coming to the conclusion that the elephant whose bones they found must have been one that died in Wombwell’s menagerie, though no one of the company could “call to mind” such an event ever having happened. All this I fully endorse. 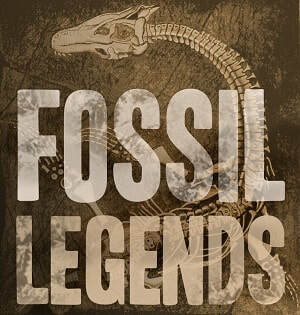 It is a curious passage, and one of the first that began to throw light upon the popular legends and stories of former days, when science was yet young, and exhibitions of giants’ bones were not uncommon. In 1721, for example, the hand of a giant was publicly shown for money; this hand being, according to the author above quoted, “the bones of the fore fin of a porpess or small whale artificially joyned together.” Here, then, is a good hint for an English Barnum; for the bones of the fin of a porpoise or whale, when the skin has been removed, marvellously resemble in appearance and shape those in the human hand. Even at the present day the belief in bones of giants, dug out of the earth, is by no means extinct, for a gentleman sent me a tooth of a fossil horse, when M. Brice was in London, and asked if it was not a giants tooth. I showed it to my friend Brice, the French giant, and we had a hearty laugh when we made the comparison of the horse’s tooth with one of his own. Source: Francis T. Buckland, Curiosities of Natural History, Third Series (2nd ed. ), vol. 2 (London: Richard Bentley, 1868).